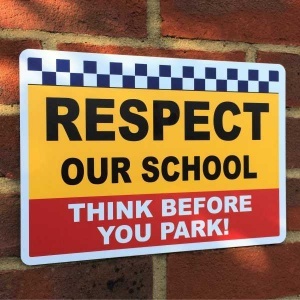 Does Your School Have Parking or Traffic Safety Issues ? 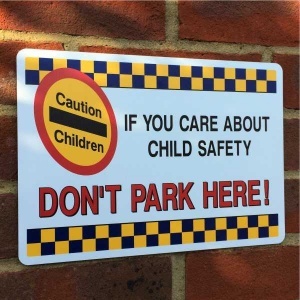 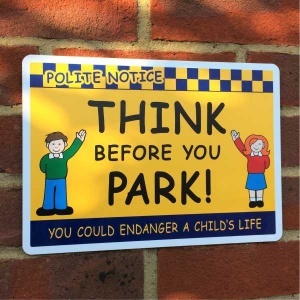 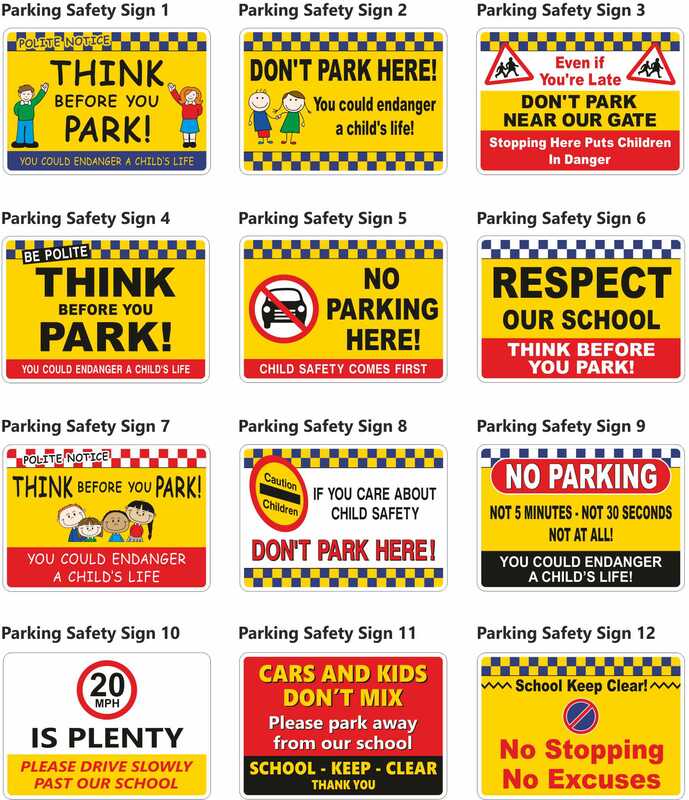 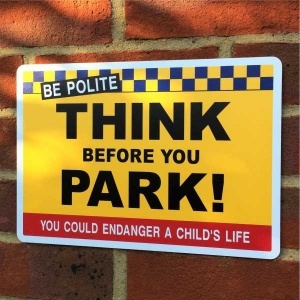 Our range of vibrant No Parking signs have been designed for use at your school entrance to highlight safety awareness. 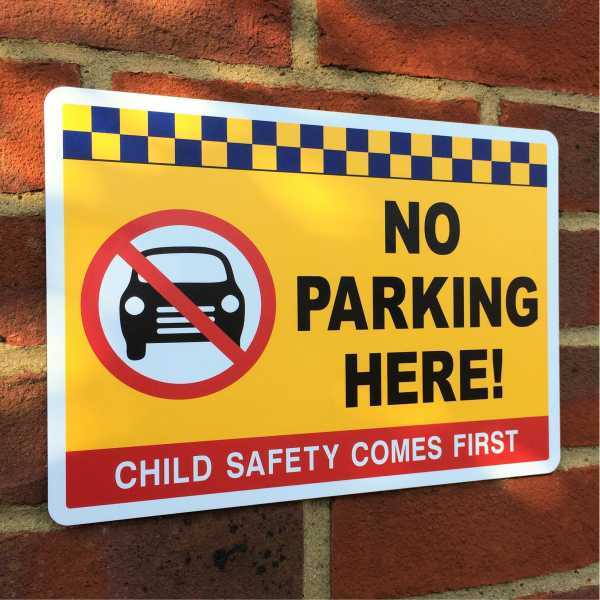 Manufactured from high quality 3mm aluminium composite material (ACM) they are totally waterproof and weather resistant. 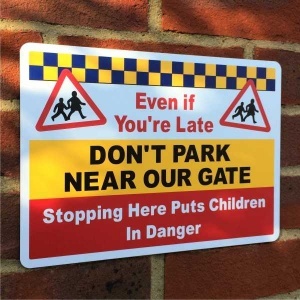 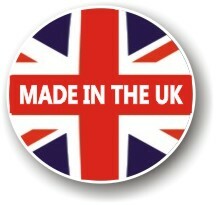 Available in a choice of 12 standard designs they come with pre-drilled holes in each corner which allows you to fix them to walls, gates, fences or school railings with cable ties. Each sign is available in a choice of 3 sizes and comes, radius corners and the addition of a clear Anti-Graffiti protective face film as standard.